Rosh Hashanah, the Jewish New Year, begins a 10-day period known as the High Holy Days, or Yamim Noraim, a time of reflection, repentance, renewal and prayer that ends with Yom Kippur, the Day of Atonement. During these days we are asked to examine our past deeds and ask forgiveness for our sins, to remember our history as Jews and to pray for Israel. We believe that on Rosh Hashanah, God has judged us and has recorded the judgment in the Book of Life. On Yom Kippur the Book of Life is closed and sealed. Those who have repented for their sins are granted a good and happy new year. I love this holiday. It brings back memories of attending synagogue with my father. I would watch lovingly and with great respect as he prayed. He always observed the holiday with all of its rituals. Yet as the years have gone by, the holiday has taken on other memories. In 1972, I was in Beirut during the holidays. I was there to learn more about the Palestinians and the Arab world. I made contact with the Jewish community and attended services at the Maghen Abraham Synagogue. I was in a refugee camp when word came that Israeli athletes had been killed at the Munich Olympic Games, and I witnessed Israel’s mighty retaliation against the refugee camps. I remember the destruction of innocent lives. I was again in Beirut in September 1982. This time I had volunteered as a nurse in a hospital in the Sabra refugee camp following Israel’s invasion of Lebanon. It was on Rosh Hashanah that the Israeli Army, under the command of then-Defense Minister Ariel Sharon, stood watch over the camps of Sabra and Shatila as a grotesque massacre of Palestinian and Lebanese men, women and children by the Phalangists took place. The Israelis allowed the perpetrators to enter the camps, even using flares to light their way, prevented terrified camp residents from leaving, and lent the murderers a bulldozer to help bury the bodies. After the medical workers were forced to leave the hospital, we were taken away and interrogated. Eventually we were turned over to the Israelis. I clearly remember watching as several soldiers prayed — it was both the Sabbath and the first day of Rosh Hashanah. A soldier offered one of the nurses a piece of honey cake — the symbol for a sweet year. 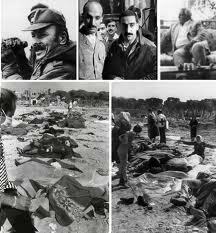 In the end the massacre claimed over 800 lives. It also undermined the concept that the Israeli Army was highly moral and idealistic. The massacre at Sabra and Shatila will continue to follow Sharon for the rest of his days. Legal efforts to bring him to justice have so far failed. Last year, 20 years after the massacre, I returned to Beirut to be part of the commemorative events. I was there during Yom Kippur. I tried to find the remaining Jews of Beirut, but could not. I wanted to spend this day with them. Instead I went to the Khiam detention center — a place where Palestinians and Lebanese were held during the Israeli occupation of the south, many of them tortured. It was fitting to be in a place where one could ask for forgiveness for the sins committed in this horrendous chamber of horrors by my people. The High Holidays are different for me now. My parents are no longer alive. I think of them a lot during the services. I pray for them and honor their memory. I must differentiate between my religious beliefs, my history and Israel’s policies toward the Palestinians. Being Jewish does not mean that I have to support Israel’s oppressive policies towards the Palestinians, the occupation, the violation of human rights and assassinations. The holidays fall around the same time every year. Each holiday I am haunted by the anniversary of the Sabra and Shatila massacre. Always, I remember, I reflect, I repent. I renew my commitment to what is right and just — to the cause of the Palestinians in the camps. Ellen Siegel, a registered nurse in Washington, is an active member of the Jewish peace movement. She wrote this commentary for THE DAILY STAR. As hundreds of Palestinians in the Sabra and Shatila refugee camps mark the 21st anniversary of a massacre there, the two-year legal drive to bring Israeli Prime Minister Ariel Sharon to account for the killings is reaching a climax. In a week’s time, a court in Belgium will rule on whether the case can proceed or not. But the lawyers for the 28 Palestinian and Lebanese plaintiffs are not optimistic. Intense political pressure from the US — rather than the legal arguments of Israeli lawyers — has forced the Belgian government into making crucial changes to its law on universal jurisdiction which threaten to undermine the case against Sharon. “We have had to face very important pressure since the beginning. Pressure on the judiciary and on the Belgian government,” Luc Walleyn, one of the three Belgian lawyers for the Sabra/Shatila victims, told The Daily Star in an interview. Pressure, too, on potential star witnesses. Elie Hobeika, former warlord and minister, was killed in a car bomb explosion in January 2002, days after confirming to a visiting delegation of Belgian senators that he would cooperate with a judicial investigation into the Sabra/Shatila slaughter. Walleyn said he believed Hobeika was assassinated because of his promise to cooperate. The lawsuit against Sharon was filed under a 1993 Belgian law on universal jurisdiction, allowing suspected war criminals to be tried in Belgium regardless of the nationality of the accused and victims and regardless of where the crime was committed. On Feb. 12, the Brussels court ruled that Belgium had jurisdiction over the case and that a judicial investigation into the events surrounding Sabra/Shatila could begin. On May 10, the court confirmed its earlier ruling, dismissing an appeal by Sharon’s lawyers. “The investigating judge confirmed that he was ready to start the investigation. It was at that moment that we had the political interference” from the US. The US intervention was spurred by a flurry of lawsuits in the wake of the Iraq war filed in Belgium against US officials, including General Tommy Franks, the commander of US troops in the Gulf. The Belgian government had already tightened the law in April so that cases against non-Belgian citizens could be transferred to the relevant country so long as it had a fair legal system. That meant that lawsuits against US officials, for example, would be transferred to US courts. The case against Sharon was unaffected by this legislation as it was impossible for the Sabra/Shatila survivors to receive a fair trial in Israel. Despite the change in the law, the “frivolous” suits against US and British officials continued to arrive, mainly, Walleyn said, because they were geared toward political point-scoring rather than a genuine intent to prosecute. In Belgium in June, US Defense Secretary Donald Rumsfeld warned that failure to amend the law could result in the US withholding promised funds for the construction of a new $350 million NATO headquarters in Brussels. At the beginning of August, the Belgian government further tightened the law, with potentially fatal consequences for the Sharon case. The new law requires at least one of the plaintiffs to be of Belgian nationality when the lawsuit is filed. None of the Sabra/Shatila plaintiffs hold Belgian citizenship. The Sabra/Shatila lawyers took up the old complaint and on Sept. 10, the Supreme Court heard both cases. On Sept. 24, the court will decide if the two cases can be linked and if the “sleeper” complaint is eligible under the tightened legislation. “I can’t predict what the court will say,” Walleyn said. Yet even if the court’s decision goes against the plaintiffs, it will not be the end of legal moves to bring Sharon to trial. The Belgian government has decided to abandon the law on universal jurisdiction. Henceforth, jurisdiction shall be limited to only those cases involving Belgian victims, Belgian perpetrators, or perpetrators living on Belgian soil. Fierce pressure from the United States of America and Israel, combined with strategic and legal errors by the Belgian authorities concerning a number of recent attempted cases, ultimately forced the government to take this huge step backwards. If the intentions of the government become law, it will of course greatly affect the pending investigation of the Sabra and Shatila massacre. The draft bill that will be proposed to parliament in fact contains a transitory rule for such pending cases, specifying that only those cases involving Belgian nationals at the time of the initiation of the case or suspects yet arrested will be pursued further. The draft bill not only constitutes a huge step backwards with respect to the defence of human rights and international humanitarian law, but it also discriminates against victims of international crimes in comparison with victims of ordinary crimes. According to Belgium’s criminal code, a Belgian victim can file a complaint for felonies committed abroad by a foreigner as soon as the perpetrator sets foot on Belgian soil. The draft bill further limits this possibility. We appeal to all parliamentarians in Belgium not to accept this proposal. In any case, we consider it inadmissible that a case such as ours, in which the Belgian Supreme Court and the Court of Appeals had already, in a final decision, decided to advance to the stage of investigation, could be cancelled by a government decision and a subsequent modification of the law. This not only violates the principles of separation of powers within the state, but also violates the rights of victims to a fair trial and effective legal remedies, as guaranteed by the European Convention on the Protection of Human Rights. Depending on the outcome of the actual legislative procedure, we are considering seeking remedies for these violations before the proper courts. The Belgian government’s proposal to greatly limit the law is also a blow for all the victims and survivors of the 1982 massacre at Sabra and Shatila. After having been welcomed by the Belgian state to file for an investigation that seemed impossible for years, that same state now turns its back on them and their overdue search for justice, for fear of economic sanctions. After having been invited to re-live the dramatic events of the massacre, the proposal about to be passed by Belgium’s parliament irresponsibly and cruelly crushes their hope of finally overcoming two decades of emotional stress and difficulties. Ellen Siegel is a registered nurse. She volunteered her expertise and services at the Gaza Hospital in Sabra Camp in Beirut in 1982, and was there during the massacre. She testified as a witness befoe the Kahan Commission of Inquiry in Jerusalem in late 1982. Ms. Siegel is the Vice-Chair of the Medical Committee of American Near East Refugee Aid, a member of the Middle East Committee of the Peace Commission of the Episcopal Diocese of Washington, and active in the Jewish peace movement. She currently works as a community mental health nurse for a non-profit organization. She wrote the following letter to her friends and fellow massacre survivors and witnesses in Beirut in the wake of Belgium’s decision to weaken its universal jurisdiction (anti-atrocity) legislation in response to pressure from the US Government. I met many of you last September, on the 20th anniversary of the massacre at Sabra and Shatila. I had not been back to Beirut, or to the camps, or to Gaza Hospital, where I had worked as a nurse, since the summer of 1982. I wanted to return, to re-trace my steps. I wanted to remember, to be there beside you, to stand in solidarity with you. Most of all, I wanted to honor and pay tribute to you and your loved ones. My first day, at sunrise, I headed for the camps. I was dropped off at what had been the entrance to the hospital, the very spot where we nurses and doctors were told to assemble twenty years ago by the Phalangist militia. I was met and accompanied by a Palestinian woman familiar with the camps. What had once been a place where Palestinians and Lebanese living in the camps came to have their babies, went to have operations performed, where clinics once served the medical needs of the camp inhabitants and where a huge Red Cross banner once hung, had now become an almost uninhabitable place for displaced persons. Now, the entrance is dark, foul smelling, rat infested, and piled with trash. You need matches or a flashlight to find the steps leading to the stairway and to light the stairwell. Palestinian, Lebanese, and possibly other Arab nationals squat in this building. The well they use for water had recently been destroyed. Wires hung from ceilings and walls, hooking up electrical power. Conditions are extremely unhealthy. I walked up to the ninth floor and looked out. I could see the entire camp; the streets, the alleyways, and the top of what had been the Israeli Forward Command Post. The last time I looked out from this spot two decades earlier, it had been at night. What I saw then were flares being shot into the air, which were used to illuminate areas of the camp. After seeing this, twenty years later, with my naked eye, there was no doubt in my mind that the Israeli Defence Forces officials and soldiers, using sophisticated binoculars, could clearly see what was happening in those camps. I then proceeded down Sabra Street. It is much denser, more crowded than it was in 1982. I was taken to shelters were people tried to hide during those terrible days, I saw the walls that had bullet holes where mass executions occurred. The complexity of the winding alleyways and warrens in these camps makes carrying out an operation such as the massacre very difficult. It could not have happened haphazardly. Planning and coordination had to occur. The mass grave, at the end of the main street, was being spruced up for the anniversary. A brick wall now covers the spot where a firing squad lined up the health care workers. I walked past the Kuwaiti Embassy. There is now a statue and a roundabout before you come to what had been an abandoned UN building used for interrogating us. A brick wall now covers the spot. The building used by the Israelis as their Command Post remains. Standing at that spot, you overlook the camps. I returned to visit with you several times. I met with survivors and families of martyrs. I attended the commemoration march and walked hand in hand with you. I attended the ceremony at the gravesite. I brought roses, together we placed them on the soil. I silently recited Kaddish, the Hebrew prayer for the dead. My last visit to the grave was a few days after the formal ceremony. It was then that I saw the silent grieving of loved ones. I realized, sadly, that yet another generation of Palestinian refugees was growing up in those deplorable camps. The Palestinian women in these camps are extraordinary. Through no fault of your own you have spent most of your adult life moving from one squalid camp to another. You once thrived in villages in mainly northern Palestine. You farmed, harvested crops, and raised livestock. You were self-supporting. Throughout this incredible ordeal of becoming a refugee you have remained strong and proud. You have not lost your dignity. I have only the greatest respect for you. You are such patient people. You wait to return to your homeland, you wait for justice. Every once in a while there is a ray of hope, like when Belgium passed an anti-atrocity law. You thought that Ariel Sharon, Amos Yaron and others responsible for that massacre would be tried as war criminals. Some of you traveled to Belgium, many of you gave detailed accounts of those dark days twenty years ago. You pulled out large framed and yellowing photos of your loved ones - you shared memories. For a while it seemed that there would be a hearing. At last, plaintiffs/survivors would be able to tell their story before an official court. But, it seems, this is not meant to be. Due to enormous pressure on the government of Belgium, mainly from Israel and the US, justice will be eluded once again. This massacre could not happened without Israel’s active participation under the command of Ariel Sharon, Amos Yaron, and others. Israel prevented terrified residents from leaving, they supplied the flares to the Phalange in order to light up neighborhoods so they could find their victims, they lent a bulldozer to help bury bodies, they were in communication with the murderers, and they could see what was going on in the camps. The Israeli Commission of Inquiry found that Sharon bore indirect responsibility - a decision questioned by many outside of Israel’s establishment. The Phalange militia carried out the actual slaughter of men, women, and children. In seeking justice, we must not ignore this fact. The Palestinians cannot get a fair hearing in Israel. The Israeli government just announced that they were not responsible for Rachel Corrie’s death. It seems the driver of a bulldozer did not see her standing there waving her arms. Rachel Corrie, a US citizen, did not get a fair hearing. Your friends from around the world will once again try to help you. We will write letters, make phone calls, send e-mails, and write articles, op ed pieces and the like. As you sit and wait, remember that your cause is heard. I do not know how many more generations you will have to wait. Do not despair. We will continue to seek justice on your behalf. Is a war crimes case against Ariel Sharon, Amos Yaron, and other Israelis and Lebanese still being pursued in Belgium’s courts? Or have dramatic legal decisions coupled with blunt political pressures rendered the case lodged by 23 survivors of the 1982 Sabra and Shatila massacre an interesting but failed attempt at obtaining international justice? If the Belgian Supreme Court found in favor of the plaintiffs’ motion on 12 February 2003 to overturn a lower court’s ruling halting the case, why did world news headlines proclaim the following day that “the case against Ariel Sharon has been thrown out by Belgium’s highest court”? If investigations have already been launched by Belgium’s judiciary to determine how and why more than one thousand innocent Palestinian and Lebanese civilians met such gruesome deaths 21 years ago, why did Ariel Sharon’s government return its ambassador to Belgium with an official statement expressing Israel’s satisfaction that the Belgian authorities had finally halted a “cynical attempt” to politicize and exploit its courts? And why did Sharon and Yaron, a few weeks later, withdraw from all judicial proceedings after engaging in two years of legal battle? Surprising court decisions in Brussels and the Hague, taken in a particularly volatile international political context, have ensured that those working on and following this landmark case have remained perched on the edge of their seats, experiencing one judicial cliff-hanger moment after another. As an exasperated observer noted, “If you aren’t manic-depressive when you start following all the dramatic ups and downs of this case, you soon will be!” It is no surprise, then, that even seasoned journalists and well-informed policy analysts are unsure of the precise status of this case, particularly since no small amount of media spin has been devoted to minimizing the case’s significance, or even obfuscating what has really been happening in Belgium’s courts and parliament. Furthermore, many observers are uncertain about how recent Belgian legislative developments might affect this case. 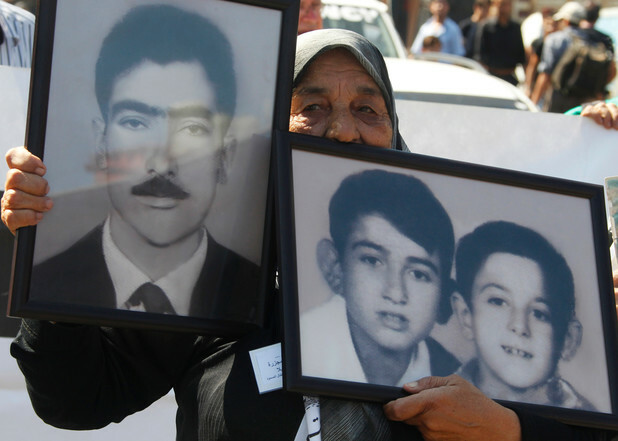 The Belgian Parliament passed an interpretative law in April that updates Belgium’s 1993 and 1999 universal jurisdiction laws (also known as “Anti-Atrocity laws”), under which the Sabra and Shatila survivors filed their complaint. So far it looks unlikely that these changes will negatively impact the Sabra and Shatila case, though some of the new changes introduced by this legislation (discussed below), pose the risk that Belgian and/or foreign political pressures may be brought to bear on this and similar cases in the future. The levels of analysis required to understand this rapidly evolving case are multiple — local, national, and international; legal, historical, and political — as well as dynamic and constantly interacting. Regardless of its final result, the repercussions of this case are already global. Ultimately, the Sabra and Shatila case is not simply about a specific massacre in Beirut in September 1982, it is also about the future trajectory, significance, and use of a compelling and controversial principle to halt impunity for the most horrific crimes known to humankind: that of universal jurisdiction. The principle of universal jurisdiction, encoded in the Fourth Geneva Convention, international customary law, and the 1984 Convention on Torture, is grounded in an international legal consensus that some crimes are so heinous that they threaten the entire human race. The jurisdiction for prosecuting such violations must therefore be universal, not simply territorial. The Geneva Conventions specifically state that all signatories to the Convention have not only the right, but also the duty, either to prosecute individuals guilty of war crimes, crimes against humanity and genocide, or to make sure they are extradited to a jurisdiction where they will be properly and fairly tried. Given the progressive evolution of international criminal law, which has gradually placed more emphasis on defending the rights of individual victims over the rights of states and state officials to enjoy immunity from prosecution for war crimes and crimes against humanity, a major collision of opposing ideas, interests, and visions was inevitable. 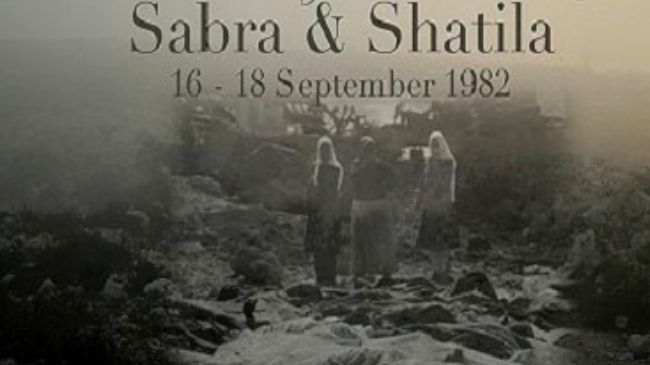 Much of the background story of the Sabra and Shatila case is a narration of that collision. Reports announcing the death of this case have been greatly exaggerated and persistent, but to date, categorically false. For supporters of the growing global campaign against impunity for war crimes and crimes against humanity, the good news is that the case lodged by the Sabra and Shatila survivors is still very much alive, although it has been affected by rulings of the International Court of Justice, wear and tear on Belgium’s bi-lateral ties with the US and Israel, and a global political context that has sharpened debate about war crimes, impunity, and the limitations and requirements of international criminal prosecution. Although they knew they were initiating something out of the ordinary and quite dramatic when they lodged the case two years ago, neither the plaintiffs nor their lawyers could have imagined what sort of roller coaster ride awaited them. Nor could the Israelis and Lebanese accused of the crimes have imagined, as the stench of death spread over a refugee camp in Beirut two decades ago, that some of the impoverished and stateless refugees wailing over the corpses of their loved ones on that hot September morning would eventually be empowered by a European legal system to demand answers from them in a Brussels courtroom. Although Ariel Sharon, as sitting prime minister of the State of Israel, enjoys temporary immunity from prosecution for the atrocities committed in Sabra and Shatila, his former military aides and assistants are starting to feel the heat of international justice. Israeli leaders are very worried that legal proceedings may reveal new and disturbing facts concerning the extent of the Israeli Defense Forces’s (IDF) involvement in the massacre. Investigation has already begun concerning the roles of top IDF officials such as retired Generals Amos Yaron and Rafael (Raful) Eitan during the massacre. Most observers of the case assume that a key focus of investigation will be the fate of hundreds of men and boys from Sabra and Shatila who were rounded up by the Phalangists and held at a nearby sports stadium under the eyes and with the cooperation of Israeli military and intelligence officials before being trucked away, never to be seen again. Ascertaining the fate of these individuals and the final location of their bodies is a psychological necessity for their families, but discovering the degree and nature of IDF involvement in these disappearances is a pressing legal need for international justice. Lebanese Phalangist leaders are also the subjects of Belgian investigations, although some key suspects have met mysterious and gory ends since the case was first lodged. Elias Hobeika was killed on 23 January 2002 by a massive car bomb in East Beirut just days after he made it clear that he would be willing to go to Belgium to testify about who did what before, during, and after the massacre. If nothing else, universal jurisdiction in Belgium’s courts has enabled victims of grave human rights violations, such as the Sabra and Shatila survivors and the victims of Chad’s Hussein Habre, to turn Thucydides’ ancient adage about the calculus of war upside down: In war the strong may still do as they will, and the weak may continue to suffer as they must, but the latter will eventually see the former in court. The 12 February 2003 Supreme Court ruling enabled a number of other pending cases to move forward to the trial stage, most notably the case against Hussein Habre and cases filed by families of Belgians killed in Guatemala and Rwanda. “In effect, the lawyer for the Israeli accused has just announced their judicial capitulation. This latest move stands in sharp contrast to the adamant claims made by the defense of Sharon and Yaron in September 2002, when they accepted the legal debate with the conviction that their legal arguments would prevail. Now that they have failed judicially, the accused are resorting to pressures on the purely political level…. Unfortunately, recent legislation in Belgium, inspired partly by negative reactions to the Sabra and Shatila case, has weakened Belgium’s admirably progressive universal jurisdiction law; it is now considerably less universal. The new interpretative law passed in early April erects some new and formidable obstacles to the prosecution of future cases by requiring a nexus with Belgium. Either the victims or the alleged perpetrators must now have some Belgian connection. Civil parties hoping to file cases as victims of crimes against humanity, genocide, or war crimes occurring outside Belgium can now only bring such cases if they have lived in Belgium for three years. The public prosecutor may have been given discretion, under the reinterpreted anti-atrocity legislation, to reject some cases. (Belgian officials stress that will be the exception, not the rule, however.) If the accused lives in a democratic country with an impartial judiciary capable of rendering a just ruling to the victims in a fair trial, then Belgium will refer the criminal complaint back to that country, or to the International Criminal Court (ICC) if the crimes occurred after 1 July 2002 and in a country that has ratified the ICC. Perhaps most troubling, human rights activists and legal analysts fear that the new legislation may unduly politicize cases by breaching the necessary separation between Belgium’s judicial and the executive branches of government; the latter can now weigh in on cases in which the accused is from the aforementioned class of “democratic” countries. We have already witnessed the first demonstration of the workings of this new procedure: Belgium refused to investigate or prosecute a case lodged by several Iraqi citizens against US Army General Tommy Franks for war crimes committed in Iraq in March and April of this year on the grounds that the US, despite its refusal to sign the treaty establishing the International Criminal Court, could be trusted to follow up on these accusations in its own courts. Ironically, it was accusations about the potential politicization of the Belgian courts by foreign interests under the original 1993 and 1999 anti-atrocity legislation, coupled with fears that Belgium was arrogating to itself the role of the “world’s policeman,” that prompted the revisions encoded in the new interpretative law. It appears that politics — real or perceived — are inescapable when the pursuit of international justice for war crimes is at issue. The newly interpreted anti-atrocity law may narrow the possibility of seeking justice for war crimes committed prior to the establishment of the ICC last July. Recent moves to limit cases of human rights violations brought under the Alien Torts Claims Act (ACTA) in the United States would also deny victims of war crimes yet another means of pursuing international justice through national courts. In addition to being the most high-profile case ever brought before the Belgian courts under the 1993 and 1999 anti-atrocity laws, the Sabra and Shatila case has also been a bellwether case for international criminal prosecution, a thorn in the side of those interested in preserving smooth EU-Israeli, US-Israeli, and EU-US relations; and a rallying point for a wide variety of organizations, causes, and groups. The Israeli government and its friends in some sectors of the media made sure to trumpet the death of the case on three separate occasions — following the 14 February 2002 decision by the ICJ in the Congo v. Belgium case (concerning Belgium’s issuance of an arrest warrant for Congolese Foreign Minister Yerodia Ndombasi), a controversial ruling which confirmed that sitting heads of state and foreign ministers enjoy temporary immunity from prosecution; following the 26 June 2002 Belgian Appeals Court decision that the Sabra and Shatila case could not proceed because the accused “were not found on Belgian soil”; and most recently after the Belgian Parliament reinterpreted and limited the 1993 and 1999 universal jurisdiction law in response to the need to update the legislation in light of the establishment of the ICC while adding filters to prevent the filing of spurious cases. These alleged near-death experiences inspired premature and rather cheery eulogies from parties obviously unnerved by the ghosts of Sabra and Shatila, but public response outside Israel was far less supportive and credulous than the Sharon government had hoped. On 12 February 2003, the Belgian Supreme Court (Cour de Cassation) brought much needed and welcome clarity to the case by siding with the Sabra and Shatila plaintiffs on the clear strength and intent of the 1993 and 1999 anti-atrocity laws. The massacre survivors had petitioned the Supreme Court to review and reverse the 26 June 2002 Appeals Court ruling that the accused had to be present on Belgian soil for an investigation and trial to go forward. And the Supreme Court did just that, awing human rights supporters while shocking the case’s detractors, who, arrogantly assuming that the Supreme Court would find in favor of the more powerful party, had appeared in force in the courtroom expecting to celebrate a victory for Sharon, Yaron and others. Scholars, activists, lawyers, and judges who have followed the trajectory of universal jurisdiction for the last decade, not to mention thousands of survivors of grave rights abuses throughout the world, saw the 12 February Belgian Supreme Court ruling as comparable in its implications and reverberations to Spain’s bid to extradite Chilean dictator Gen. Augusto Pinochet from the UK in 1998. Another corner in the global campaign against impunity had been turned, another precedent set in the living, growing, and tumultuous body of laws, court decisions, and commentaries that constitute the dynamic field of international criminal prosecution. One month after the plaintiffs and their lawyers were vindicated by the Supreme Court decision, however, reports of a new case, one even more controversial than that lodged against Ariel Sharon and others, were on all lips in Brussels. On 18 March, a case was brought with great publicity against present and former high-level US government officials. This time the accused included President George Herbert Walker Bush and Colin Powell, who were named as the responsible parties in a U.S. attack on the al-Amiriyya shelter in Baghdad, where some 400 Iraqi civilians died during the 1991 Gulf War. The mover and shaker behind this case was allegedly none other than former Iraqi Foreign Minister Tariq Aziz. What Iraqi plaintiff, after all, would have dared to bring a case without the Baghdad authorities’ permission? Who else would have known full well that the case would go nowhere, and be simply an embarrassment to the Belgian government? Every supporter of universal jurisdiction for war crimes and crimes against humanity, every defender of Belgium’s right and duty to pursue such cases through its courts, was immediately put on the defensive by local and international media and angry US officials. Bitter accusations about the vulgar politicization of judicial proceedings in Belgium quickly replaced the previous month’s accolades from human rights organizations and official Israeli innuendo about the Belgians’ allegedly anti-Semitic character and past. Some US spokespersons and media pundits noted with relief how fortuitous it was that President George W. Bush had had the foresight to withdraw the US from the Rome Statute establishing the International Criminal Court. They wondered how Belgium could find itself poised to prosecute officials from a democratic country while leaving the odious Saddam Hussein untouched, despite his clear and horrific rap sheet of war crimes committed with malice aforethought. The US, on the other hand, had never meant to commit any crimes, and could hardly be held criminally liable for the unintended “collateral damage” that the world must learn, sadly, to accept in times of war. Ignored or silenced by these loud protestations were earlier attempts to bring Saddam Hussein and his key military and intelligence associates to justice in European courts by means of the principle of universal jurisdiction. Such judicial attempts to end Saddam Hussein’s impunity had focused on crimes committed against Iraqi Kurds during Iraq’s genocidal Anfal campaign of the 1980s, a systematic, criminal assault on Iraqi citizens launched and executed while Saddam was a friend and ally of the United States, not to mention a recipient of considerable US financial and military aid. Human Rights Watch and the Indict Campaign, among others, had been at the forefront of a noble attempt, sadly aborted during the last years of the Clinton Administration, to remove Saddam Hussein from power through the precepts, principles, and moral force of international human rights law rather than through bombing campaigns and military invasions of dubious legality. And a case against Saddam Hussein was indeed ready to go forward in Belgium under the universal jurisdiction law. It was lodged in the summer of 2001, just after the Sabra and Shatila case, and was bound to benefit from the 12 February Supreme Court ruling. At any rate, the Iraqi case against Bush, Sr. and Colin Powell could not have come at a better time for the US and Israel, leading some to joke darkly that perhaps Tariq Aziz had been an Israeli or American agent all along. Within days, Belgian officials found themselves on the receiving end of harsh lectures and alarming threats from US diplomats and defense department emissaries who were then haunting the halls of European capitals in the run-up to America’s mid-March attack on Iraq. US Secretary of State Colin Powell threatened to move NATO headquarters to Poland if “politicized” cases against the US and its close allies in Belgian courts were not halted forthwith. Such arm-twisting helped to sway a number of Belgian MPs’ views about interpretative legislation that had already been initiated to update and fine-tune the 1993 and 1999 anti-atrocity laws. MPs from centrist parties who had earlier given verbal support for minor changes to the 1993 and 1999 universal jurisdiction law now changed their minds and voiced approval for more far-reaching and radical changes to the law. Belgium’s right-wing parties, largely representing Flemish regions, attempted to parlay the new international balance of forces to their own local and national advantage. Thanks to unrelenting US and Israeli pressures, these parties were suddenly empowered to curtail the 1993 and 1999 anti-atrocity legislation to a degree that few watching Belgian politics could have predicted just two months earlier. Assessing the strengths and weaknesses of the principle of universal jurisdiction in practice, Amnesty International and Human Rights Watch have both stressed the crucial role of national governments’ political will in aiding the successful prosecution of international crimes in national courts. Recent events in Belgium have illuminated some important socio-political dimensions of the rapidly transforming international criminal prosecution environment. Although the role of states’ governments and foreign emissaries has already been discussed, such political pressures from above and beyond are not the whole story. Grassroots pressures from below have been equally crucial in shaping Belgium’s universal jurisdiction legislation, and played no small part in the events that led to last February’s dramatic decision by Belgium’s Supreme Court. The 26 June 2002 ruling by the Belgian Appeals court that Sharon, Yaron and others could not be tried since they were not present in Belgium sparked an unprecedented joint initiative by local, transnational, and international human rights organizations as well as members of the Belgian Parliament and government to save and strengthen Belgium’s 1993 and 1999 universal jurisdiction law. The subsequent emergence of a grassroots, multi-party legislative initiative did not bear all the fruits it seemed to promise, largely as a result of sudden and unexpected US pressures following the attempt to try former President George H.W. Bush. Yet this grassroots initiative served as a good illustration of the key ingredients required for the collaborative construction of the necessary political will to prosecute war crimes, from the ground up. Not only states, but also individuals and non-governmental organizations, have a stake in the future of international criminal prosecution. To be heard, they will have to organize, collaborate, initiate and delegate. In other words, they will have to participate politically as advocates and educators, not only on the international level, but even more so at home. The goal of advocates of halting impunity for war crimes must not be to bring more and more cases to Belgium, but rather, to increase and widen venues for the prosecution of war crimes, crimes against humanity, and genocide, whether by incorporating the principle of universal jurisdiction formally into more states’ national criminal codes, or by urging more states to become signatories to the treaty establishing the ICC. As a result of the many lessons learned and the various legal corners turned over the past two years, the International Campaign for Justice for the Victims of Sabra and Shatila www.indictsharon.net will soon metamorphose into “The International Campaign for Justice in the Middle East”, in recognition of the fact that an initial aim of the campaign, the indictment of Ariel Sharon, was effectively achieved when the Belgian public prosecutor brought the case forward on two separate occasions in the early and late Summer of 2001, and the competence of the Belgian courts to look into the hideous crime perpetrated in September 1982 was confirmed by the 12 February Supreme Court ruling. Our campaign will still focus heavily on the continuing Sabra and Shatila case in the Belgian courts, but will also collect, analyze, summarize and disseminate information about international criminal prosecution with a special focus on prosecuting and preventing war crimes, crimes against humanity, and genocide in the Middle East. We aim to recognize and responsibly address the fact that politics cannot be separated entirely from the pursuit of international justice at the local, national, or international levels. We will aim to assist others in building the political will and the political coalitions — from the ground up — to halt war crimes and other grave violations of human rights in the Middle East, be they authored by states or non-state actors. All crimes directed against non-combatants will be our target. Acting as a clearinghouse of information and ideas more than as an initiator of actions, we will endeavor to foster and facilitate multi-national and broad-based alliances of individuals and groups — Arab, Iranian, Israeli, Turkish, European, Latin American, African, and North American — who share a common concern to halt the toxic effects of continuing impunity in this most volatile region of the contemporary world, and who are ready to engage in an honest, open, and self-critical dialogue about the legal, moral, political, cultural, and historical dimensions and prerequisites of the search for justice in the Middle East. Just as this campaign began when a group of friends and colleagues in the US, Lebanon, Belgium, and Latin America — Christians, Muslims and Jews — inspired by Spain’s attempt to extradite Augusto Pinochet, decided to launch an email petition calling for a judicial inquiry into the Sabra and Shatila massacre, we hope that the courage of the Sabra and Shatila survivors and the unstinting efforts of their lawyers will inspire individuals and groups throughout the Middle East to bring other authors of atrocities to account. To that end, the transformed campaign’s web site will feature updates on and analyses of the Sabra and Shatila case as an object lesson in the pursuit of international justice in national courts, but will also branch out into new terrain by encouraging policymakers, activists, scholars, journalists, and lawyers throughout the Middle East to strive to bring their own countries’ policies and judiciaries into compliance with the Geneva Conventions, the Convention against Torture, and the Genocide Convention, while also urging more countries in the region to ratify the treaty establishing the International Criminal Court. The legal struggle continues in Belgium’s courts, while further efforts are just beginning on the ground in the Middle East. 1. The case lodged in Belgium on 18 June 2001 by 23 survivors of the 1982 Sabra and Shatila massacres charges Ariel Sharon, former Israeli defense minister and Israel’s current prime minister, retired Israeli Defense Forces Gens. Amos Yaron and Rafael Eitan, as well as other Israelis and Lebanese, with war crimes, crimes against humanity, and genocide related to the massacres committed between 16-18 September 1982 in two refugee camps in Beirut. The central argument of the case hinges upon Ariel Sharon’s and other Israelis’ Command Responsibility as General and high officers of the Israeli Defense Forces (IDF), which were in full control of Beirut when the massacres took place in the contiguous refugee camps of Sabra and Shatila. Although the killings of between 1000-2000 unarmed Lebanese and Palestinian civilians were carried out by Lebanese militia units directly or indirectly affiliated with the Israeli-allied Christian Lebanese Forces (the Phalange), the legal, military, and decision-making responsibility for the massacre ultimately rests with Ariel Sharon under established and recognized principles of International Law, most notably the Fourth Geneva Convention. 2. The Court of Cassation (Belgium’s Supreme Court) on 12 February 2003 upheld the competence of Belgian courts under the 1993 and 1999 universal jurisdiction laws to address serious violations of international humanitarian law, namely war crimes, crimes against humanity and genocide, regardless of where the plaintiff is or any other condition not specified by the law. It thus reversed the 26 June 2002 decision of the Court of Appeals and sent the case back for correction (by the Court of Appeals, but with a different composition than the earlier court), allowing the investigation and trial to go forward. The Court drew a clear distinction, however, between Ariel Sharon and the rest of the accused. For the former, being Prime Minister of Israel, enjoys procedural immunity from prosecution under international customary law so long as he holds that position. The others accused do not, however, enjoy immunity, and their trial can go forward.